In January Dustin and I decided together we would tackle one DIY project per month for all of 2016. It's been so much fun to start knocking out all the projects I've had on my "list" for months now. In January we completed an open shelving project in our dining room and in February we built a rustic kitchen island. In the end of March we put together a gallery wall in our living room + dining room space and I had the opportunity to partner with Minted to add a few favorite prints to it. For years I've loved Minted for their stationary -- holiday cards, birth announcements, party invitations and more. It wasn't until recently that I found out they sell beautiful fine art prints of all different styles and sizes. Minted believes that great design lives & thrives in the hands of independent artists and allows consumers to discover creative talent through the products they sell. 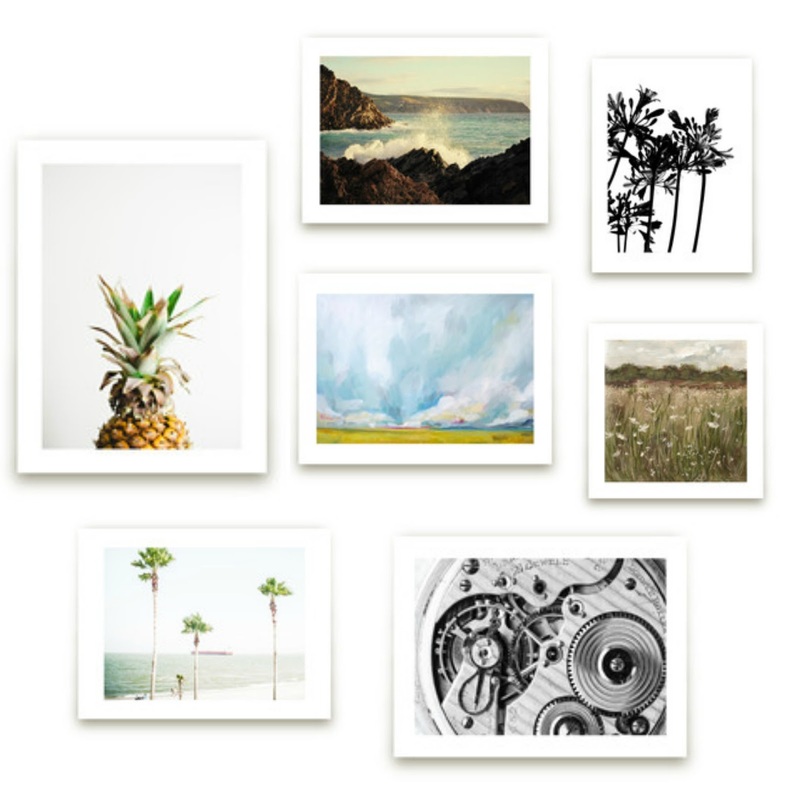 Minted's community of independent artists and designers are located in 48 states and 43 countries. They are illustrators and textile designs, painters and packaging designers, marketers and even stay-at-home Moms! Some have design degrees and others are participating in Minted competitions to learn design for the first time. I believe one of the reasons their products are so incredible is because each and every one is designed by an independent artist! You get a little bit of everything, making Minted the perfect one-stop-shop for everybody. All of the Minted art prints are offered in a wide range of sizes, most as small as 5x7'' up to 30x40'' and larger, so whether you want to add some new art to an extra small space or fill a whole wall, you can find prints that you can mix and match to create a wonderful gallery. I love combining square prints with rectangular ones because the size and shape contrast, especially when placed next to each other, is so visually appealing to the eye. They also are available framed or unframed, and as a busy Mama I love knowing I can order them with a frame and it will be delivered ready to hang...so much less work for me than going out to hunt for the perfect one. 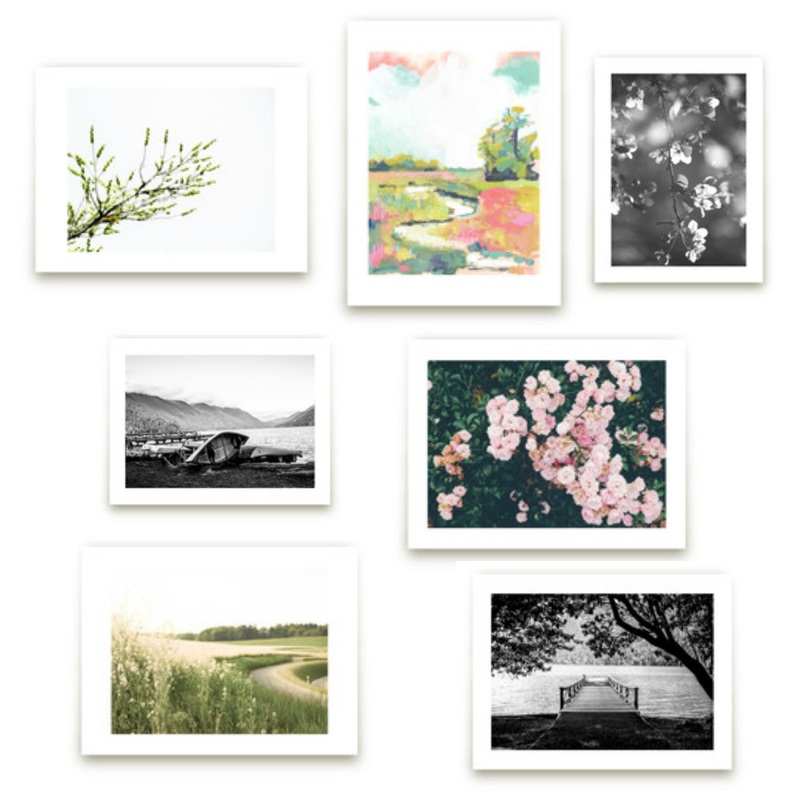 And because you know I can never get enough hung up in our girls' rooms, perhaps my favorite category of Minted's fine art prints is their wide selection of prints for nurseries and children. I would probably buy them all if I had more wall space but we're quickly running out around here!! 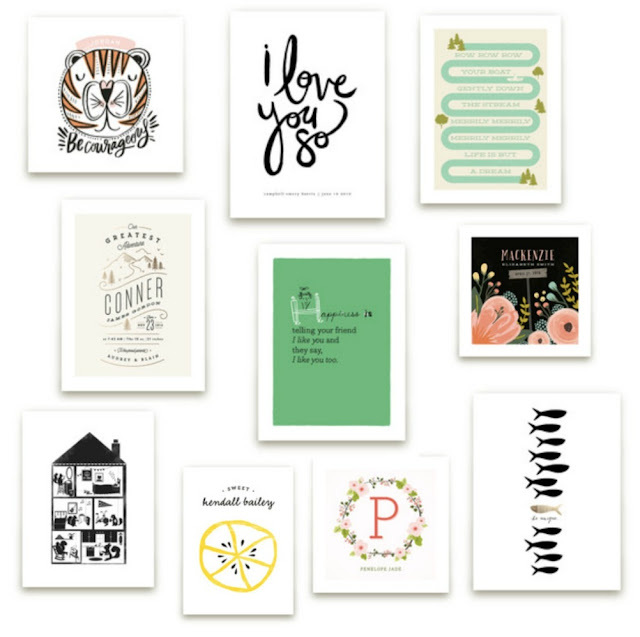 These prints would be lovely in any child's bedroom or perfect to finish out a playroom. Below are a few favorites for your little ones. Many can be personalized with your child's name, initials, birth stats & more. Custom pieces make such beautiful gifts and keepsakes.